Triad Photobooth Rental, a sister-company of Triad DJ & Events, is a full service photobooth rental company located in the heart of North Carolina, in downtown Greensboro. Setting the bar high, Triad Photobooth Rental offers the very best photobooths on the market. With their white, sleek and sophisticated design, the Vanity & Entourage are the ultimate photobooths of the 21st century, boasting the ability to print & share photographs almost instantly. 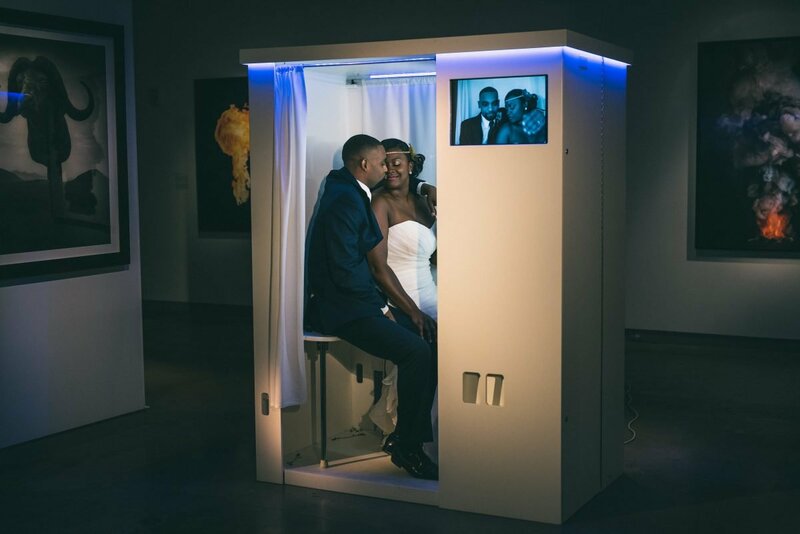 Our totally customizable photobooths are perfect for any celebratory occasion. From weddings, corporate functions to school, bar/bat mitzvahs, and non-profit functions, we have the perfect booths for you. For more information about scheduling a complimentary consultation, please feel free to contact us. We look forward to hearing from you soon.